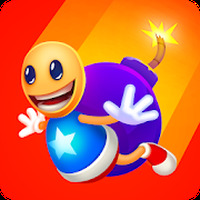 "Play with your friends to bomb each one of them"
Game Goal: Based on the acclaimed Bomberman, this app is fun and more interactive; it allows you to invite up to three friends to a real challenge, which remains the same: blow up the enemy. 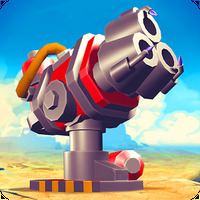 How to play: You must move the pieces in the scene to place bombs in a strategic way in order to blast your opponents. Game Options: There are 3 modes: Online vs. Tournament vs. Friends. It also has a training mode which is very useful for those who want to practice before facing a challenge. Controls: On the left side of the screen, you'll find a button with which you can move the character. The pumps are placed by pressing the button on the bottom right corner. Languages: Portuguese, English, Spanish, among other languages. Useful Tips: Use the extra items to gain advantages, although even when you die, you can turn into ghosts and seek revenge on your attacker. Installation requirements: A minimum of 67M of free memory space and Android 2.3.3 or higher. Online multiplayer mode allows up to 3 friends to play. You can play the game even after you're eliminated. The connection to the server is unstable. It could offer more powers. Do you like Bomber Friends? 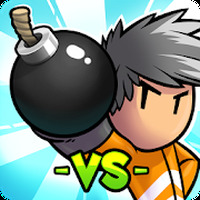 Perfect I Iove bomber man!